With what seems like forever we finally return to the Premier League action. Safe in the knowledge that England have now managed to book their place at the World Cup. Well done Gareth Southgate and England. 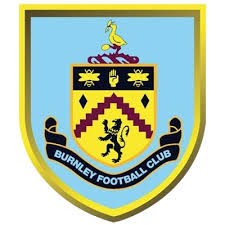 We start off with a trip up to Burnley, which at the moment is not an easy place to visit, and right now they are playing well and currently sit 6th in the league with 12 points. They are above Liverpool and are just a point behind big guns Arsenal and Chelsea. But saying that they seem to be getting there by making sure they don’t lose rather than winning games. They have won 3 games this season, but have scored only 7 goals so I don’t expect this to be a high scoring game. West Ham managed to get the 3 points last game out, against a stubborn Swansea team. While many were unhappy at the performance it truly was a needed result at the time. Hopefully we can manage a few more 1-0 wins over the next couple of weeks, I would like to think that players would start to perform with a greater confidence than we have seen so far this season and better performances will follow in turn. We have risen to the dizzy heights of 15th after the Swansea game and leapfrogged over high spending Everton in the process. Winning on Saturday could even take us to the top half of the league. Team news for Saturday is that Burnley will be without Walters, Wells and Marnley for the game. Not exactly household Premier League names but is testament to what Burnley have managed to achieve the last few seasons. The Hammers have only the one senior member of the 1st team squad missing James Collins. It will be great to see exactly how we will line up with a fully fit squad. West Ham United : Hart, Zabaleta, Reid, Fonte, Cresswell, Kouyate, Noble Lanzini, Antonio Arnautovic and Hernandez/Carroll. Playing away from home and against a team playing well I expect Slav to play like for like against Burnley. But if things start to go wrong then I think he has lots of options on the bench to change things around. I think we are in for another borefest but will pick up another 1-0 win with our goal coming from a Noble penalty. It won’t be pretty but I think we will come back celebrating a great defensive display.